PDT South Africa is very sad to inform you of the passing of our founder, Babette Brown, in the UK on Sunday 10 February 2019. 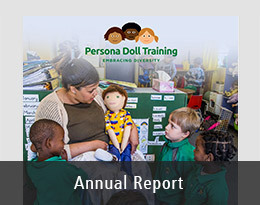 Babette Brown was the Coordinator of Persona Doll Training United Kingdom, and the founder of the Early Years Trainers Anti-Racist Network, launched in 1986. She was a recipient of the Guardian ‘Jerwood’ award for charity work, and remained an active voice in the anti-bias and anti-racism movement. 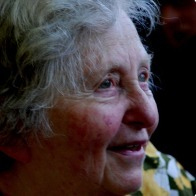 She was born in Johannesburg, South Africa, in 1931. In 1963, she and her family went into exile in the United Kingdom during the state of emergency declared after the Sharpeville massacre in 1960. As a South African who had experienced first-hand the effects of racism and apartheid, Babette was shocked to discover that racism, sexism, and classism were deeply embedded in the British education system and broader society. This awoke a lifelong interest in anti-bias work to tackle the roots of prejudice and discrimination in society. In 1985, she launched the Early Years Trainers Anti-Racist Network, and remained a strong advocate in the anti-racism movement in the United Kingdom. Babette was a writer on race and diversity, and has had several books published, including Unlearning Discrimination in the Early Years and Combatting Discrimination: Persona Dolls in Action. We send our sincere condolences to her family both in South Africa and abroad. 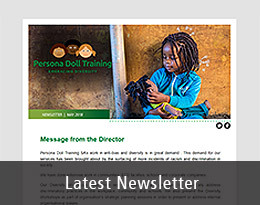 Persona Doll Training (PDT) is a non-profit organisation and accredited training provider offering training and resources to promote diversity and challenge negative bias. We contribute to the transformation of schools, workplaces, communities and society by addressing prejudice and discrimination on the grounds of race, gender, class and ability.